YouTube is one of the common ingredient in our digital world. YouTube has made your job easier that can provide all types of technology tutorials instead of search for everything. 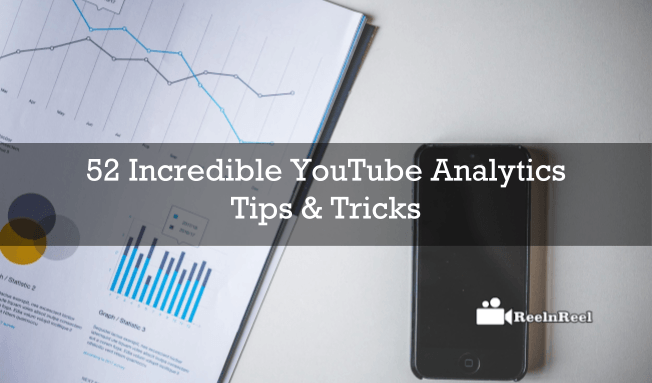 Here are the Incredible YouTube Analytics Tips & Tricks. Previously everybody goes to google to know anything to google it, but the trend has changed to YouTube videos. There is a huge difference between reading and visual by our eyes. Visual content remains longer time. 52. Integrate YouTube Analytics with Adwords for Video and check Ad Performances. Most of the digital media companies promote their brands on social media like Facebook, Twitter and YouTube. YouTube has taken first place in video ads. Here we have described 52 important YouTube Analytics Tips. Check out for YouTube Analytics Training & YouTube Marketing Training or send a mail to info @ reelnreel.com.